The do while loop is a post tested loop. 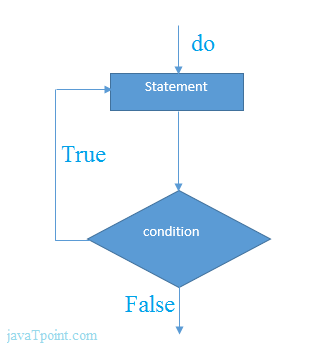 Using the do-while loop, we can repeat the execution of several parts of the statements. The do-while loop is mainly used in the case where we need to execute the loop at least once. The do-while loop is mostly used in menu-driven programs where the termination condition depends upon the end user. do you want to enter more? There is given the simple program of c language do while loop where we are printing the table of 1. The do-while loop will run infinite times if we pass any non-zero value as the conditional expression.